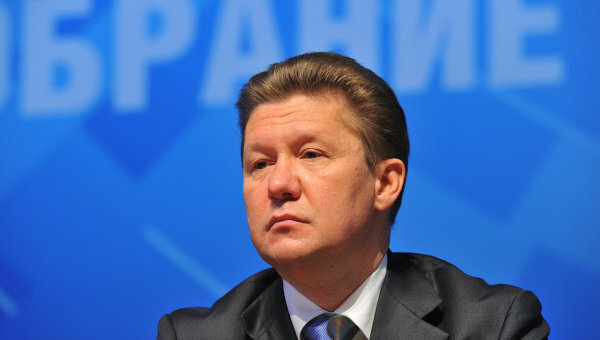 MOSCOW, Russia -- Ukraine's gas transit system that Kiev presently estimates to cost $20 billion may become significantly cheaper, the head of Russia's gas giant, Gazprom, Alexei Miller, said on Saturday. During a meeting on Friday with Russian Prime Minister Vladimir Putin, Miller said that Ukraine had placed the price of its gas transit system at $20 billion and requested an annual $9-billion cut in the price of gas if Moscow and Kiev created a gas transport consortium. "I don't exclude that Ukraine's so-called last strategic resource, its gas transit system, will severly fall in price next year," Miller told journalists on Saturday in regard to perspective talks with Ukraine in 2012 on the price of gas. Miller called Ukraine's going price for the gas transit system "significant" taking into account that much money would be needed to invest in the transit system's modernization. He said modernization of the system would be 2-8 billion euros ($2.6-$10.4 billion). Ukraine earlier had set its price for the gas transit system much higher at $150-270 billion. In June 2011, former Prime Minister Yulia Tymoshenko, who is presently serving a seven-year prison sentence for abuse of power in signing a gas deal with Russia, set the price of the system at $150 billion, and then in September this year said it was worth $270 billion. Previous to Tymoshenko's statements in court on the price, Ukraine had place the system at $80-120 billion.